The ketogenic diet is a powerful tool to help boost fat burning and help the body heal from chronic disease. I have used this approach clinically for years with amazing results and personally engage in a ketogenic lifestyle. While the benefits of keto are real, there are 10 common ketogenic diet mistakes that may prevent someone from experiencing the full benefits. When someone comes to me asking why they are having trouble losing weight or feeling abundant energy on a ketogenic diet, I investigate to find out if they are making these ketogenic diet mistakes. One of the most common ketogenic diet mistakes I come across is that people simply do not eat enough calories, especially from healthy fats. While fasting and calorie restriction have their place, prolonged calorie restriction can actually be very stressful on the body and lead to many negative effects, most notably lethargy, adrenal and thyroid problems. Most people do great with reducing carbs and sugars in the diet, but are hesitant to increase their fat intake to 70-80% of their total calorie intake. Part of this has to do with the demonization of cholesterol and saturated fats in the 80’s and 90’s, and even to an extent still today. There were some questionable biases present in these original studies and more recent evidence actually shows that low-carb, high-fat nutrition plans are much more effective for health than low-fat diets are (1, 2). Be generous with your fat intake. Healthy fats should comprise a major portion of every meal you eat so that your body can take those and turn them into ketones for energy. If you are feeling hungry after meals, increase fat intake. If you notice you are overly full or notice a lot of digestive upset, you likely have overeaten. One of the most common complaints on a ketogenic diet is constipation. If you are not moving your bowels 1-3 time a day, you likely need to increase your water intake. In fact, this is one of the ketogenic diet mistakes that is probably just as common as not eating enough fat. I always recommend consuming an absolute minimum of half your bodyweight (lbs.) in ounces of water daily. Ideally, you want to shoot for your full body weight in ounces. For example, a 150 lb. 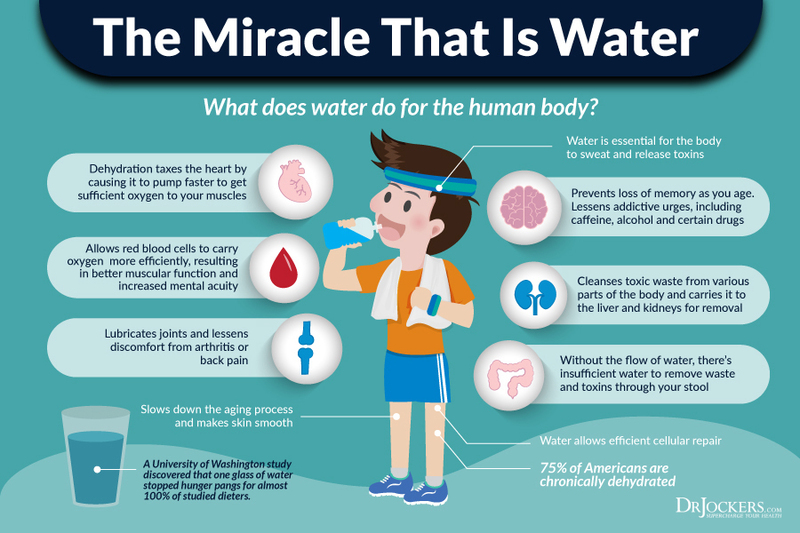 individual would shoot for 150 ounces of water throughout the day. Something else that is critical is to only drink away from meals. For small meals, separate hydration by an hour. For larger meals, you may need up to 2 hours to allow digestion to complete before hydrating again. This goes for before meals as well. One of the most helpful strategies I have found is to actually start your day with super hydration first thing in the morning. Before taking a bite of food, try consuming 16-32 oz. of water. 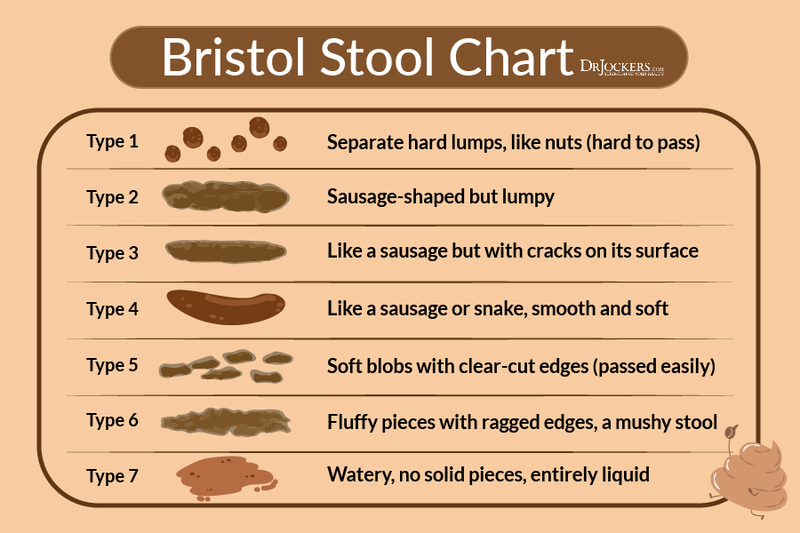 You will likely notice you have more regular bowel movements, your skin looks healthier, and in general you feel more energy. This one goes along with our other ketogenic diet mistakes in that you need plenty of water, but you also need the right minerals in order to be properly hydrated. These ketogenic diet mistakes made together will destroy your fat burning potential. Your nervous system uses water and electrolyte minerals to actually send messages. With poor hydration and low electrolyte levels, you get poor energy production and will not be able to take full advantage of the benefits of a ketogenic diet. Additionally, on a ketogenic diet insulin levels drop. This is important to note because insulin signals the body to hold on to water and minerals. When insulin levels drop, we excrete excess water and minerals which need to be replace much more frequently (3, 4). This is why I recommend using a high-quality sea salt (such as this one) in water and on foods. Use it generously to taste. Many people notice that when they are not quite feeling their best on a ketogenic diet, that increasing their salt intake actually makes a huge difference in how they feel. 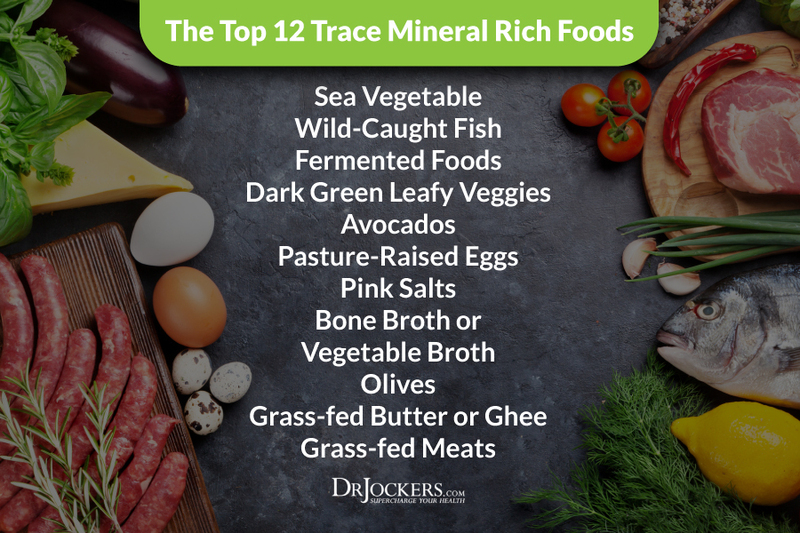 Other great sources of minerals include leafy greens, sea vegetables, cucumbers, celery, and bone broth. This is one of the ketogenic diet mistakes that is pretty straight forward, but if you are eating too many carbs, your body will burn them as energy instead of the fats you are consuming. If you are just starting out your keto journey it is important to really limit net carbs to about 20 grams or less per day for at least a month. Dropping carbs below 20 grams a day and consuming plenty of healthy fats will help your body relearn how to burn fat for energy over a 2-4 week span. Most people have been burning sugar as energy their entire lives and don’t realize that this metabolic shift needs to be stimulated by really limiting carb intake. This is what I call a Keto Metabolic Makeover and you can read about how to do that here: Keto Metabolic Makeover. After about a month of being strict on carb intake, you can begin what is called a carb cycling program where you consume a higher carb meal once a week using things like berries, sweet potatoes, carrots and beets if you tolerate them well. A common misconception is that a ketogenic diet is simply a low-carb diet and that fat and protein can be consumed in unlimited quantities. Many people do not realize, however, that consuming too much protein may actually be preventing you from entering into a state of ketosis. This is because, when consumed in excess, amino acids will be converted into glucose which the body burns for energy instead of dietary fats (5). Additionally, excessive protein intake can be acid-forming in the body. Consuming too many acid-forming foods on a regular basis can actually contribute to chronic fatigue and muscle pains, such as fibromyalgia. A good protein goal to shoot for would be around 1 gram per kilogram of bodyweight. This means someone with 160 lb. bodyweight which equates to about 73 grams of protein per day. Take your weight and divide by 2.2 to figure out the grams of protein per kg of body weight. Aim to get this on your lighter workout days. If you are doing more strength training or trying to gain muscle, bump it up to 1.6 grams per kg. If you are a very sedentary individual who does not do much exercise, your protein requirements will likely only need to be around .6-.8 grams of protein per kilogram of bodyweight. Out of all the ketogenic diet mistakes this is probably the most common because we often associate high fat foods with high protein. Stress and poor sleep seem to be getting to everyone. These are two big ketogenic diet mistakes, especially for those just starting out. For those who have never followed a ketogenic diet and need to go through the metabolic reset process I recommend here, it is best to wait until you have a month where you can reduce your stress load. After becoming fat-adapted you will likely notice that you are more able to meet stressful day-to-day demands. This is because the adaptation process can be someone stress-inducing to the body and excess stress may actually prevent you from being able to get into ketosis. Highly stressed people tend to have rapidly fluctuating cortisol levels that through off blood sugar balance. For these people, when blood sugar goes too low, instead of producing ketones it could set off a stress hormone cascade and hypoglycemia that leaves you feeling chronically fatigued. This is one of the least discussed ketogenic diet mistakes and therefore it is often overlooked. This is because many people would never even think to consider that their bowel movements may be preventing them from getting into ketosis. Constipation is common on a ketogenic diet. When excess waste backs up in the colon, unwanted microbes can overgrow and the body will tend to produce higher amounts of stress hormones, throwing off blood sugar balance. The most common things that need to be addressed for constipation on a ketogenic diet are poor hydration, not enough fats, and not enough fiber. Start the day off with the hydration strategies discussed earlier in this article and aim to have a bowel movement within an hour of being awake. 2 or even sometimes 3 solid movements a day is a good sign that you are not having any motility issues. Additionally, magnesium supplementation can be absolutely amazing for improving bowel motility and so much more. Magnesium is a powerful supplement that we all can benefit from, especially on a ketogenic diet. If you are a high-level athlete or workout 5-7+ days per week, then the ketogenic lifestyle may not be for you. This amount of physical activity and stress is not conducive to being in a ketogenic state and these individuals may do better on more of a low-carb diet (6). In fact, many people are surprised to find that on a ketogenic diet they are able to work out less and feel more profound benefits from their workouts. Personally, I only do 3-4 strength workouts per week and I have found that this is what makes me feel my best on a regular basis. On the other hand, being sedentary all day is not good either. At an absolute minimum, you need to get 20 minutes of low-intensity movement every day. This could simply be taking a walk or making sure that you are standing up and moving around throughout the day. Doing so will help make sure your tissues stay oxygenated and your lymph fluid gets stimulated by muscular contractions. Poor oxygenation of tissues will not be conducive to ketogenisis as the mitochondria actually need oxygen in order to make energy from ketones. This is a process called oxidative phosphorylation. Additionally, regular exercise will help upregulate a protein called GLUT-4 which acts to pull sugar out of the blood stream and store it in muscles or the liver as glycogen (7). Having higher Glut-4 activity can essentially allow your body to handle slightly higher amounts of carbs while maintaining ketosis. Something I always hate seeing is someone who claims to be on a ketogenic diet while consuming lots of processed vegetable oils and meat products. Technically yes, you can be on a ketogenic diet by eating salami wrapped mozzarella cheese from the gas station, but is it worth it? To me the ketogenic diet is such a powerful life-giving and healing tool with profound health benefits. When someone goes about a ketogenic diet by consuming these highly toxic and inflammatory foods, we lose so much of those benefits. It is absolutely critical that the fats you are consuming are healthy and natural fats. Fats derived from things like coconuts, avocados, olives, and pasture-raised animal products. Additionally, I always recommend consuming organic produce and pasture-raised animal products (meat, dairy, eggs). On top of these things, consuming plenty of nutrient-dense vegetables and antioxidant-rich herbs and spices take the benefits of a ketogenic diet to the next level. There are a number of ketogenic diet mistakes that will inhibit your ability to burn fat and experience the full benefits it has to offer. Those listed above are the most common and the ones that will most likely hold you back from reaching your health goals. If you are experiencing keto flu or are facing a weight loss plateau, try addressing these issues and you are likely to see powerful breakthroughs! If you feel lost on this journey and don’t know what to do, check out my ketogenic diet online program. 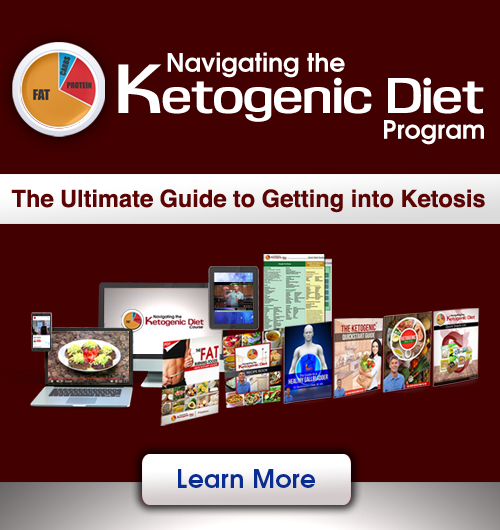 It is your comprehensive guide to the ketogenic diet, healthy lifestyle, and beyond. If you are looking to take your health to the next level, check it out here: Navigating the Ketogenic Diet. 5. Manninen AH. Very-low-carbohydrate diets and preservation of muscle mass. Nutrition & Metabolism. 2006;3:9. 6. Brooks K, Carter J. Overtraining, Exercise, and Adrenal Insufficiency. Journal of novel physiotherapies. 2013;3(125):11717. Regarding protein…is that 1 gr per kilogram of “Lean” body weight or the total weight you are at? Or should you calculate it by your goal weight you are working towards? What is the minimum amt of protein you can eat before you start losing muscle mass? Hey Marita, this is just a general suggestion based on current body weight and acts as a “ballpark” value. Most people would not want to go under .5 gram of protein per kilogram of bodyweight on a regular basis! This is highly specific to the individual and their unique metabolic demands though! I have a motility disorder common to many so called “Lyme” patients – quite severe – plus meat makes me so acidic I ache all over within hours – plus dairy and/or eggs congest me within minutes. I am not wanting breast cancer to come back – Is the ketogenic diet just out of the question for me? i don’t know what to do for quality protein …..
What are we doing wrong?? My husband and myself have been on the keto diet for over 3 months and the only result (which would make a number of people happy but not us) is a pretty big weight loss (from 53.3kg to 46.2 for me and my husband about 64kg to 57.4) and it keeps going down, which frightens me now. We did not want to lose weight or maybe 2 or 3 lb no more, what we wanted was energy and more mental alertness but… none of that. We are tired, no energy and the mental alertness is no better… What can we do to get some weight back and, hopefully energy at least if no improvement in the mind? We would like to keep on the diet as we don’t think it would be a good idea to go back to our previous diet in one go. It was not bad, mind you, because we were already following a number of the keto principles but, just more carbs (bread, potatoes, milk, for instance) and, we were slim to start with. I enjoyed the transcripts from the Keto Summit but couldn’t find an answer. Perhaps I should add that we are over 70 yrs. It is hard to say what is going on without more information Evelyne. Reach out to michael@drjockers.com he can help you figure out what is going on! Through faith and Ketogenics, I reversed Diabetes type 2. 6 months ago, my a1c was 8.1 now, my a1c is 6.9. I thank God for leading me to the Ketogenics lifestyle. That is powerful Alicia! So happy for your progress! I am on the ketogenic diet because I am pre-diabetic. My A1c was 6.4 last December and I was retested earlier this month after being on the keto diet for less than 2 months and it has dropped to 6.0 so that has improved. I am hoping to have it drop further. I am not overweight. I am 58 years old, have a very tiny frame, weigh a little less than 90lb. Obviously I am not trying to lose weight. What is the main difference between keto for health purposes and keto for weight loss? According to your calculations, I should only be consuming about 41 g of protein a day. Is that correct? I do keep my carbs at 20 or below. I have hypertension as well and have not found that my BP readings have come down while most people comment that they do notice their BP drop. Does this take longer for some people? Am I on the right track or should I be doing something different? I must admit that I have lots of energy most days so that is great. Hey Helen! 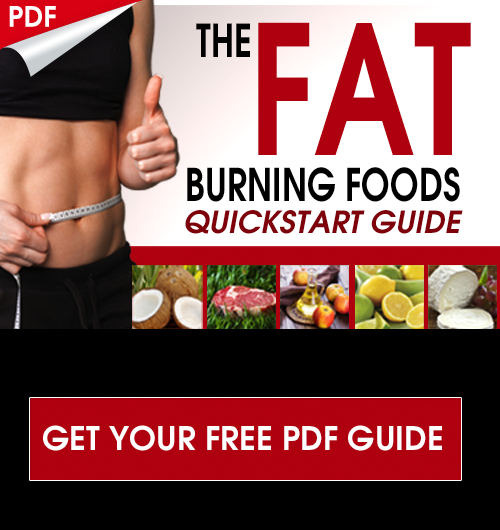 The great thing about the ketogenic diet is that if you have extra fat to lose, then you will usually burn it once you have become keto adapted. If you do not have fat to lose and you are eating enough then you should have no problem maintaining your weight! It sounds like you are on the right track Helen! Dr Jockers, first off, I appreciate that you are a follower of Christ and are not posing in a yoga/meditative state on the top of some mountain! I have a different type of question to ask… I have followed a Keto WOE since July/17. Today I am experiencing long “waves” of persistent yawning, resulting in runny eyes and nose. I have experienced this off and on for years and thought it could be blood sugar related… I have no testing devices to check my blood sugar, FYI. Today I had two cups of “bulletproof” coffee with MCT oil between 8 and 11 am. I took water to work containing pink salt, cream of tartar, cinnamon, lime juice & cayenne pepper. At 2:30 I had a bone broth/collagen peptide/cacao drink. At 5:30 I ate a dinner of pork chops, green salad/dressing & sweet potatoes (an extra carb today). Do you know what this persistent yawning could be? Thank you so much for all your free info and fabulous recipes!! Bless you and your family! Palm oil is a good fat?? Really? What about black cumin seed oil and argan oil? Are they good to consume in keto? All great oils! If you are buying plan then look for the sustainable farming practices seal! I was looking for more reasons why hair loss would be a result of keto. I have been having serious hair loss since June and my hair used to be very thick..Now it is very thin. I tried biotin, which was recommended. Then electrolytes. I use essential oils for hair loss. I do eat enough fats, I believe. I am on Thyroid meds, but my doctor says my levels are good. What else could it be? I am beginning to think I will need a wig! and that’s very concerning to me.